We finally had a chance to fly our newly acquired DJI Inspire 1 quadcopter, to capture some great footage over Lake Tahoe, close to the Northstar ski resort. We were there for a few days, and ended up being stuck at the cabin during a snowstorm, but managed to get out for a couple of hours to test the drone as much as possible. With still pretty high winds, it was incredibly easy to maneuver and capture some stunning footage of the National Forest around us. We're excited to use the drone in future production work, so if you have a need for aerial footage give us a shout. DJI really did an incredible job with this drone, and the quality of the images is nothing short of amazing. Make sure you click the settings menu on the video below to watch in 4K. The video footage was unedited, and this is straight out of the Inspire 1. We love aerial cinematography, and since we acquired our first quadcopter a year ago, we've used it in many projects to provide outstanding quality production values to real estate companies, solar energy projects, documentary footage, and much more. It's been an incredible investment to ride the wave of aerial cinematography and the technology is evolving extremely fast. And it is with extreme excitement that we announce we recently acquired a new addition to our production gear, the brand new DJI Inspire 1, a professional grade quadcopter that shoots stunning 4K imagery and photos. We just received it today, so the batteries are charging, and we'll be doing the first few test shoots this weekend in Lake Tahoe. 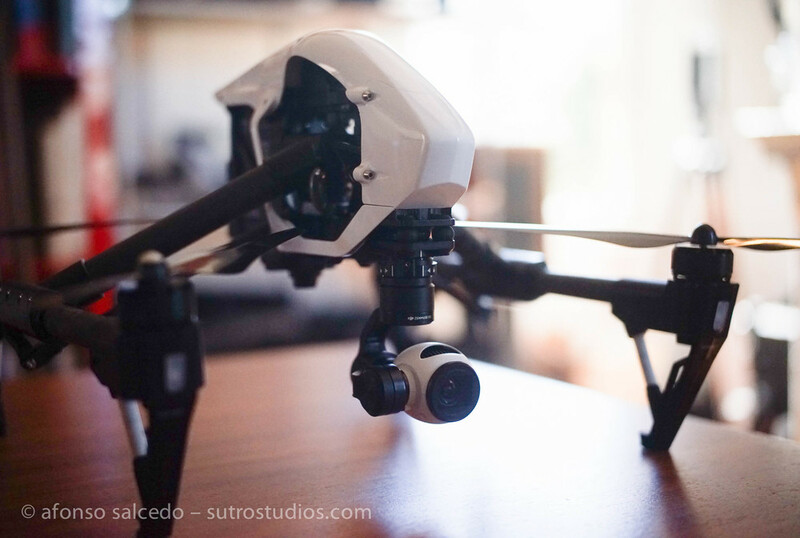 Have you been looking for the best aerial cinematography out there? Look no further. Send us a message and we'll be quickly in touch to provide you the best quality images you've seen. Stay tuned for some more details soon. We are proud to share our most recent video, this time in partnership with one of our favorite clients Borrego Solar, a Bay Area company. The $5.7 million project managed by Anaheim Public Utilities was completed mid-August by Borrego Solar Systems Inc., a leading designer, developer, installer and financier of grid tied solar photovoltaic (PV) systems. The installation covers 300,000 square feet on the rooftop of Exhibit Halls A, B and C. With 7,908 installed solar panels, at the time of it's completion, the installation was the largest city-owned, convention center, roof-mounted system in North America. The system will generate an estimated 3.6 million kilowatt-hours of electricity annually — enough energy to power 600 homes for a year. Please go to Borrego Solar's website, for more on the project: http://bit.ly/1ur6lA9. We were on location for a couple of days covering the inauguration event, filming and interviewing the people behind this project using our professional gear of Sony, Canon, and BlackMagic Design cameras, lenses, and accessories. All lighting used was by LitePanels and ARRI, and we used a DJI drone for all the aerial shots. Final editing was done in Final Cut, and color grading in our calibrated suite using DaVinci Resolve. We recently completed a video using one of our drones to capture stunning footage of the brand new Anaheim Convention Center solar array installation on their rooftop. This video was used during the inauguration event for the solar array at the Convention Center a few days after. Aerial footage of the 2.4 MW roof-mounted solar PV system on top of Exhibit Halls A, B and C and the Anaheim Convention Center in Southern California. At time of completion, the project was the largest city-owned, convention center, roof-mounted PV system in North America. The $5.7 million project covered 300,000+ square feet of space and is owned and managed by the Anaheim Public Utilities and was completed in August of 2014. Thank you for another great collaboration with Borrego Solar!